It’s time for a small plug. I’ve put a new song called Separated by Water up on Bandcamp, with reliable old Crossing Oceans as a B-side (chosen over several other contenders for the nautical connection). You can pay what you like, minimum price is zero. Zilch. Nada. Click play on the player below to stream or Download to claim your very own copy, in the file format of your choosing, with artwork. Clicking Download will open up a Bandcamp window in your browser and you’ll be prompted to enter a sum of your choosing. Fear not – 0 is acceptable. I recorded and mixed it at home, playing all the instruments in my usual fashion, but had some help from Melanie Crew and James McKean on backing vocals, who did a wonderful job. I hope you like it! This entry was posted in Uncategorized and tagged acoustic guitar, alternative rock, audio engineering, Bandcamp, Crossing Oceans, home recording, James McKean, lo-fi, lo-fi recording, Melanie Crew, recording drums, recording drums at home, self-released music, Separated by Water, Sound recording and reproduction on February 8, 2016 by rossjpalmer. Hi all. It’s time to push my own work on you again! Recently I took an old recording of a very old song, put a new live drum track on it, added some extra guitars, an organ part and some harmonies and polished up the mix. The song is called Reassurance, and it is old. I wrote it when I was 20 and at university (I’m 32 now! ), but as it was the first song I wrote that I thought had something about it (and people I played it to responded to it as if that were the case), it’s always been one I’m fond of. It had a Fred Neil influence in the chorus and a bit of an Elliott Smith thing in the verses. Anyway, I was going through some archive recordings to play for my girlfriend Mel, and it struck me that this recording of it I did four or five years ago had quite a decent vocal (it’s a hard song to sing, both technically and emotionally – it’s easy to get too fierce in the choruses), so I decided to polish it up and get rid of the awful drum programming (the recording was made before I’d started to learn how to record or play drums). It’s not a song I’d want to put on an album simply because of its age, but the recording seemed worth sharing with people. So I’ve made it the title track of a 4-song EP that I put up on Bandcamp last night. The other songs include the previously released Little Differences (which is a West Coast, Fleetwood Mac type of thing), That’s Not You (which is more 1990s alternative, and has some properly distorted guitars – I love recording distorted guitars! ), and Teach Me to Believe, which I wrote for Mel, early on in our relationship (it’s an old-school voice-and-guitar piece, with only an overdubbed solo and harmony). 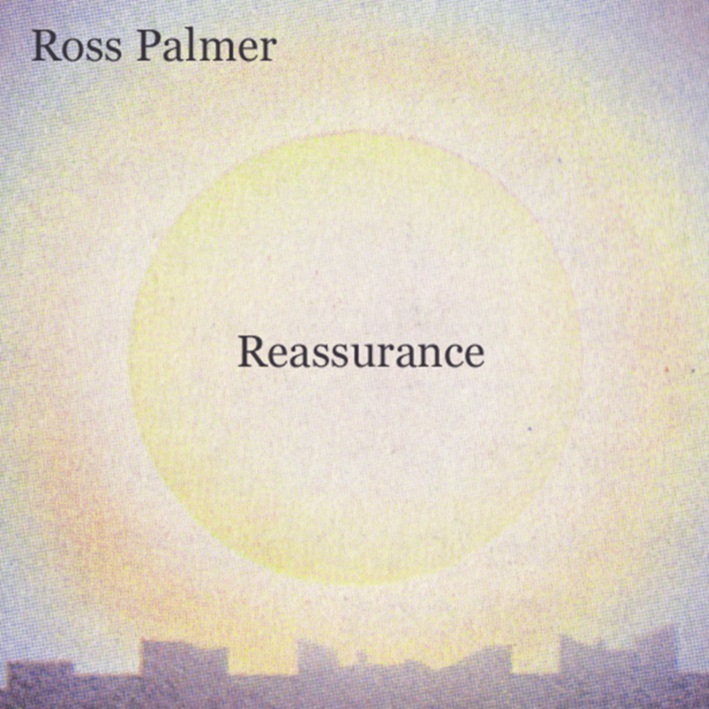 You can download Reassurance here, either individual songs or the whole thing. It’s a name-your-price download — but if you want it for nothing, it’ll ask you for an email address. Don’t worry. I won’t spam you about gigs you can’t possibly go to because you live in Azerbaijan. I’ll keep it to updates about new songs and recordings and such. Take care now. I’ll be back tomorrow with a normal post on something or other. In the meantime, enjoy your Saturday and I hope you like the EP. The beautiful artwork by Yo Zushi, long-time comrade-in-arms and champion of the song! This entry was posted in Music and tagged alternative rock, Bandcamp, Board of Fun, Elliott Smith, Fleetwood Mac, Fred Neil, grunge, guitar, hi-fi, James McKean, Little Differences, lo-fi, mid-fi, Reassurance EP, Ross Palmer, singer-songwriter, songs, Songs From So Deep, Sumner, Teach Me to Believe, That's Not You, west coast, Yo Zushi on June 21, 2014 by rossjpalmer.